Is your RV overweight? Are you overweight? In this week’s podcast we talk to our friends James and Stef from The Fit RV about the importance of weighing your RV to make sure it is not overweight, and thus unsafe for the road. Too many RV manufacturers send their RVs out dangerously close to the weight limits, something many RVers are unaware of when they start loading their gear and themselves into it. And it’s too easy for life on the road to cause us to become overweight, too. You’ll find much of interest with his great RVing couple in our interview of the week. 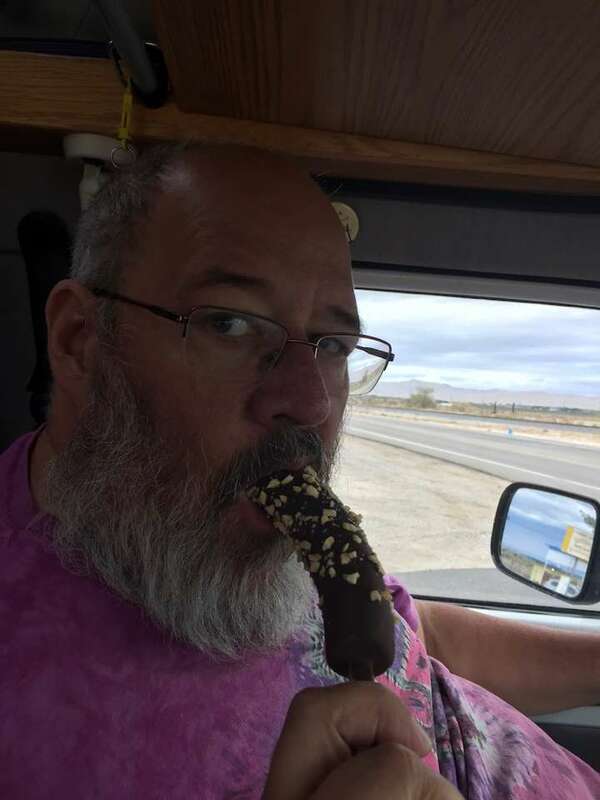 Plus, RV Tips from Jennifer, your RV questions, traveling technology tools for the RVer and a great ff the beaten path report from the Burketts… all this coming up in Episode 214 of the RV Podcast. We just returned from an absolutely fabulous trip to Kansas, specifically the Flying W Ranch, located on 7,000 acres of tallgrass prairie. It was another one of our Roadtreking gatherings – the eighth of the year – and this one was on a working cattle ranch. We had Roadtrekers from all across the country show up. We camped boondock-style right next to a horse corral and we were so busy. We hiked, took a lot of awesome photos, star gazed under that big prairie sky, learned all about the cowboy culture and actually joined in on some of the ranch activities. The absolute highlight of those activities was the cattledrive. We mounted up on horses and accompanied the real cowboys out onto the pasture for a longhorn cattle drive. It was an unforgettable experience and so much fun. We were right in the middle of the herd and I can’t wait to put together the video of the experience. The other highlight was the tallgrass prairie itself. You know Kansas is a place that most people go through. On their way to or from some other place. But believe us, it very much belongs on your bucket list. When Mike gets the video uploaded to our RV Lifestyle Channel on YouTube you can see for yourself but the prairie is so stunningly beautiful that even my husband’s excellent video skills can’t capture it all. It needs to be seen firsthand. The tall grass prairie used to cover a huge section of North America,170 million acres from Ohio to the Rockies and Mexico to Canada. Today only 4% remains and that’s mostly in the Flinthills region of Kansas where we were. The U.S. Park Service has established the Tallgrass Prairie National Preserve there and it’s well worth a visit. As our gathering broke up Monday, there was a light covering of snow on the ground. The first hard freezes and heavy frosts of the year hit many of the northern and midwestern states this week. Out in Kansas, the cowboys at the ranch told us that they are expecting a much harder than normal winter this year. They said extra thick coats on the horses and cattle are already showing up, which is much earlier than normal. And the Woolly Bear Caterpillars they are seeing are showing much longer black bands than the rust colored bands. The more black showing on the caterpillar, supposedly the more severe the winter will be. The cowboys believe it and say the winter will be tough. Speaking of winter and cold weather, it’s time to make sure your RV is winterized. That means draining your plumbing system and running RV antifreeze through it. We’ll talk more about this in a few minutes in the listener questions segment of the podcast but it’s that time of year again and cold weather is pretty much with us from now on. Officials at Grand Teton National Park say tourists who repeated fed fruit to a mother bear and her cubs are responsible for her death. The bear, which already showed boldness toward people, was apparently repeatedly fed fruit from a car in early October. This led the bear to start approaching cars to make contact with people. Park officials feared it was only a matter of time before a person was hurt. So the bears were trapped, and when no zoo or suitable facility could be found to take the mom, she was killed. A facility in Michigan agreed to take the three cubs. The tourists who fed her were found and charged. This sad story is an important reminder that no matter how cute, wildlife needs to be kept wild for their safety, and ours. At least two people lost their lives last week when the RV park they were camping in along the South Llano River near Junction, Texas, swelled some two feet after 11.5 inches of rain fell in a few hours, sweeping many RVs away. As of last weekend at least two of the campers died, three more were missing. Many of the survivors had stories of awaking to find their RV full of water. One woman held her dog and clung to a tree for several hours before being rescued by helicopter. We are now half-way through October and you know what that means: Halloween themed camping is in high gear. From pumpkin carving to costume contests or even trick or treating, more and more campgrounds around the country are drawing families out in droves every October with Halloween-themed camping experiences. Many state and private campgrounds have special events each weekend up through Halloween, Jellystone Campgrounds have pumpkin-related events, many KOA campgrounds have special events and a lot of private campgrounds go all out. If you can find an open spot, book it. You’ll have a ball. Which is more beautiful, a sunset or a sunrise? A National Geographic article out last week lets you decide as it published its list of the 10 best national parks to watch a sunrise or sunset. And true to that magazine's style, it included breathtaking pictures to accompany each site. For those who love a good sunset – or sunrise – the article is worth a peek, and it might even provide some new places to put on your bucket list. And the Fattest Bear of 2018 is … a mother named Breadnose! Remember how we told you about Fat Bear week up at Alaska's Katmai National Park & Reserve last week? The social media contest was a March-madness like event where the public voted on which of Katmai's salmon chomping bears gained the most weight before hibernation. Well, after much excitement, the winner is … a female named 409 Breadnose (click here to see picture). The Katmai bears were feature of our podcast in August. (click here to listen or here to watch a video with a ranger) The Katmai bears are a great example of how our national parks can use the internet to create excitement about wildlife. Now Mike and I are not full-timers, but for the past seven years we have spent the majority of the year on the road, usually staying in our class B Roadtrek. And I have to say, when two people and a 60 pound dog are living any length of time in an RV, I have discovered certain things we can do that really help make our camper van feel more spacious. I thought I would share them with you for this week's Tip of the Week. First, I always try to keep the van clean. There is something about a clean floor, and clean counters, and clean seats that just makes the space feel that much more inviting. Second, is similar to the first, in that I keep clutter to a minimum. That means every time we take something out to use it, when we are done, we put it right back. When we make dinner, we immediately wash the dishes and put them away. We use a computer? When we are done, we immediately put it away. This having a spot for everything, and then putting it in that spot when you are done is so important. Third, Don't bring it unless you are absolutely sure you need it. When we started RVing in our camper van I found I would bring kitchen gadgets, or clothing, or other various items that we just didn't need. Granted some of this knowing what to bring comes with experience, but in general over-packing is one of the biggest ways to make your camper van feel cramped. Fourth, I always make up the bed into a couch each morning. Yes, this does mean we are setting it up and putting it away each day, but the set up and put down really doesn't take that much time, and by converting our bed into a sofa, our living space just feels that much more spacious. Fifth, use space wisely. Make use of all the extra cupboards and hidden drawers. Use it to store as much as you can so you don't have items on your floor space, or even your counter space, because you have a hidden spot where they stay until you need to bring them out to use. My sixth, and final tip is to get outside as often as you can. We all start this lifestyle for adventure, to see things we haven't seen before, so when you arrive to your destination, don't stay locked up in your van! Go see the sites, enjoy a comfortable chair outside at your camping spot. Make that camping area part of your living area and it is amazing how much that makes a difference. So, that is my quick list of how to make your camper van feel spacious, and I hope it was helpful to you today. Laura asks about cold weather and winterizing. We have done several videos on our RV Lifestyle YouTube Channel on the many ways to winterize, including the way we do it. We’ll put links to them in the shownotes which you can find at Roadtreking-dot-com-slash-214. But don’t neglect to winterize if your RV is going to be exposed to freezing weather for prolonged periods of time. Joan is a new RVer and wants to make the beds more comfortable and asks for our bedding suggestions. We share our experience and what we use. Is your RV overweight? Are you overweight? In this week’s podcast we talk to our friends James and Stef from The Fit RV about the importance of weighing your RV to make sure it is not overweight, and thus unsafe for the road. Too many RV manufacturers send their RVs out dangerously close to the weight limits, something many RVers are unaware of when they start loading their gear and themselves into it. And it’s too easy for life on the road to cause us to become overweight, too. You’ll find much of interest with his great RVing couple in our interview of the week. Mike Wendland: So it is so much fun to run into friends and people we follow on YouTube and do the same thing. That's why we like to come to these events. It's more fun than seeing the RVs sometimes. Mike Wendland: So you guys, the Fit RV, we had you on the podcast several years ago. James: It's got to be a couple years ago, yeah. Stef: A couple years, yeah. Mike Wendland: Tell us what's up with you guys these days? Where have you been? Where are you going and what excites you about this RV lifestyle we all share? James: Let's see, so I think since we were on your podcast we did an RV trek to Europe. James: We RVd around in the Alps for a couple weeks and went to the RV show there in Germany. James: And we got a cat. Stef: Yes, so that's been a whole new world for us. RVing with a cat is … it changes everything. Mike Wendland: Did you ever RV with a dog? James: No, we don't have a dog. Stef: So it's all new to us. Mike Wendland: I don't know how to reference what a cat does but it seems that they're much more self sufficient than a dog. Stef: They are, but you know how you can let your dog out, take your dog for a walk and the dog loves to go out for a walk? Our cat doesn't love to go out so much. We do put the cat on a leash and a harness and try to take him out. James: That'll get you some funny stares. Mike Wendland: I was going to say. James: -you know, some cats you put them in a vehicle they just meaaoow. He doesn't do that. He just sacks out and goes to sleep. Stef: Right, and the litter box is a challenge though too because with a dog you don't have to worry about having a litter box in the rig. So that's been a challenge for us because we're in a camper van and we're already space challenged but we figured it out. Mike Wendland: Now, you guys are in a Winnebago Travato. James: It's a Class B.
Mike Wendland: So we kind of share that background. I'm still amazed at … I love the title of your home you two have, the Fit RV. Mike Wendland: James, you kind of concentrate on the Fit RV as a vehicle. Mike Wendland: And Stefanie, of course, you are a model of fitness on the road. 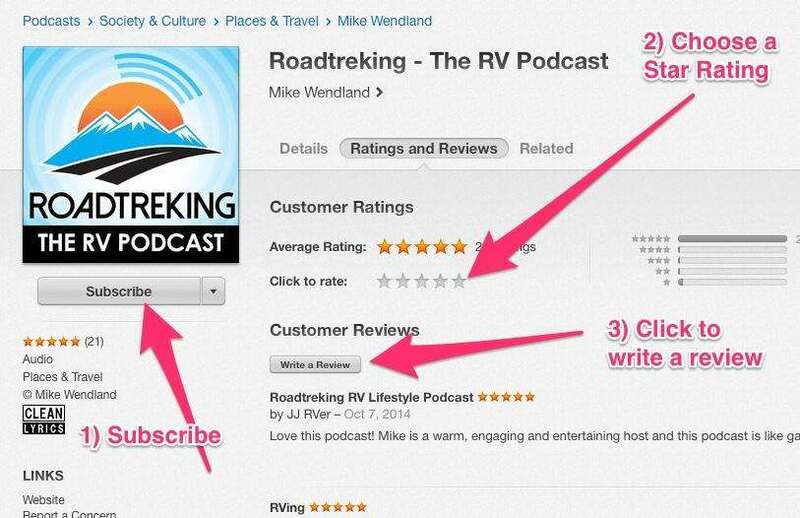 Mike Wendland: Something that we can be honest with and say is not shared by most RVers. Stef: Well, I think there's a lot of reasons for that. It's really hard when we're out of our routine. When we're on the road, everything's dynamic and every day is changing but when we're home in the sticks and bricks we have our routines and so fitness is an easier thing to do when you're in a stable setting. On the road it just throws all that out of the window and it's hard to keep fitness as a focus. James: There's that whole vacation mindset that comes in to play too. We're out in the RV, you know, I'm on vacation. I'm going to eat that. You wouldn't do that at home but if you think about it you wouldn't say, “I'm on vacation. I'm not going to take my blood pressure medication.” You wouldn't do that. James: So you just need to think of it a little differently and that's part of life. Mike Wendland: You're a big booster of bands, right? Stef: Resistance bands, yes. Well, they're portable. They're light and they're cheap. We do encourage people to travel with resistance bands because it's a great way to get your strength in. Taking a walk is easy in the RV you can just open up the door and go but the strength part gets more challenging. Yeah, bands are a great way to get the strength going. James: Yeah, and the space challenge thing comes into play with the bands. You can do a lot with a little bit of equipment. Mike Wendland: We'll link to a couple. Maybe you can refer us to a couple of your favorite workouts and ideas for a workout and we'll put a link in the show notes because we're all doing this together here to share the [crosstalk 00:03:45]. Mike Wendland: James, what about the Fit RV itself? Keeping an RV fit? James: You know, we do RV content but we try to make it more amusing than just this is how you would check your tire pressure in the RV. James: We try to make it a little more entertaining than that. Sometimes we don't quite hit the mark but sometimes we do. Latest stuff we did, we did a piece on weighing your RV. Hugely important thing, not that many people actually bother to do it. Mike Wendland: So six and a half years of doing this, I've never weighed my RV. James: You? Bad, bad, bad. Mike Wendland: Because I'm afraid of what it'll say. James: Well, you're Class B so you're probably in better shape than a lot of rigs. James: But it's really easy. So you see the CAT scales at truck stops and we've all been to truck stops. You see the CAT scales, there's an app. You can set up the app on your phone and then basically you just drive right on to the scale and you don't need the big long stick to hit the button to call the weighmaster. You don't have to even go inside. So we did that video and to make it amusing and to show how easy it was we actually made Stef do the weighing in an evening gown and heels. Stef: We? We made Stef? James bribed me to wear an evening gown and heels to do the weighing at the truck stop. Mike Wendland: That's pretty good. Stef: It was a little ridiculous but at the same time the video was kind of useful so. James: And if you want to get noticed at a truck stop, wear an evening dress and heels. Mike Wendland: So the serious side of that, why is that so important? Let's be really blunt about it. RV manufacturers don't really share very well just how much or how little you can really store without going over that limit. James: Exactly. So there are a number of reasons why weighing your rig is important. The first as you're alluding to, you want to make sure you're not overweight. It's a safety thing. I find it more in like the smaller C coaches, you know, that are maybe built on some of these van chassis. They come out of the factory pretty close to max weight. You can only put a few hundred pounds of stuff including people in them. So that's one reason. Another reason is setting your tire pressure properly. You should know how much your rig weighs so that you know how much load each tire is carrying so you can set your tire pressure properly. Towing is something that comes into play with weight. If you want to tow something, and we actually, since we got the cat we tow sometimes a little trailer now. Mike Wendland: Wait, the cat has a trailer? Stef: Because we need the litter box in the van we normally store our race bikes inside the van but now we have to have another place for our bikes and we don't want to carry them on the outside bike rack because they're expensive and they're also our babies. We got a little tiny four by six trailer to carry out bike supplies. Stef: When we bring the cat in the RV. James: When we bring the cat. So you always know if we have the cat because we'll have the trailer on. James: So but towing is another reason why it's just important to know how much your rig weighs. It's really easy to do and not enough people do it and so we made the video to try to encourage people to do that. Mike Wendland: That's good. So we talked about the vacation mode how you can't live life every day on vacation. Mike Wendland: We talked a little bit about the fitness bands but the importance of staying active and moving around. Mike Wendland: What are a couple of quick tips that you would offer people? Stef: I think some of it starts with our mindset. We have to understand why we need to exercise. Throughout our life spans we're in two different phases. We're either in the phase of growth or we're in a phase of decaying. I know that sounds very depressing. Stef: That we're in a decaying mode but it's the physiologic part of our bodies that once we hit a certain age things start to decline. Exercise becomes so important as we're aging because really the only way to switch our modes back to growth phase is through exercise. It's by breaking down our muscle tissue and rebuilding it stronger so we're in growth phase again. As we age, if we don't exercise we stay in that decay phase and that's when we start to age and seeing the negative effects aging has on our bodies. James: So my number one tip of all the tips we've given for staying fit, my absolute favorite one is our two hour rule. James: And that's if you're out driving or something like that, every two hours stop, get out of the van or your RV, do something. Get some activity. That could be a short roadside attraction. It could be just doing some pushups in a rest area. Get out and move every two hours. Jennifer Wendland: But how long should we move? Stef: 15 minutes, yes. 15 minutes. Mike Wendland: You had to ask that question, Jennifer. Stef: And we try to make those stops fun. We'll find some interesting roadside attraction, stop, check it out, and then we'll do some pushups on the RV or some step ups in and out of it or we'll jog around the RV. So that two hour rule is definitely one of our big ones. Mike Wendland: Now, that's your two hour rule. We have a 3:30 rule which is unless you have to be someplace that you've just driven two marathon days of 12 hours a day but generally when we're going someplace, stop by 3:30 in the afternoon. Mike Wendland: -see places, walk around the campsite, not have to back in after dark, hit that electric box because you can't see it. Jennifer Wendland: But sometimes our 3:30 rule is 3:30 am. Stef: We've had that rule too. James: We've had those days. Stef: Yes, but I love that rule because it's also making the drive be part of the vacation and part of the fun. You're not just pushing through and taxing your body, you're actually enjoying the journey too. Mike Wendland: Well, I will put links on the show notes and in the video description but why don't you tell everybody who is too lazy to look at that how they can find the Fit RV. Stef: They can just go to out website, TheFitRV.com and we also have Facebook and Instagram and YouTube. James: Yeah, you can search any of those or even just Google for the Fit RV and you'll find us. Mike Wendland: All right, thank you guys so much. Stef: Thanks for having us, Mike and Jennifer. There's no question when you're on the go, keeping up with all your responsibilities can be a challenge. So this week, a few tips to make sure your mobility isn't getting in the way of work, life, and everything in between. Don’t worry about finding an outlet or running down your phone battery while in an Uber, subway or the RV with the Belkin BoostUp Charge Power Bank. With its thin, compact shape and elegant one-cable design, this power bank is convenient to pack and can supply up to 35 extra hours of battery life. When en route to an event, conference or business trip, stay hands-free when it comes to taking calls with the Jabra Freeway Bluetooth Speaker. The device pairs over Bluetooth with a smartphone to send and receive calls and texts. No doubt when you're out and about there's a chance you might lose things. The Tile can also help give you peace of mind on the go by keeping track of your most-needed items, such as your keys, bag and phone, with the Tile's 200–foot Bluetooth® range. So whether the RV is 200 feet or 200 miles from home, don't let your on the go status keep you from staying on the ball. The Salton Sea is a peculiar place. It's a basin at the foot of the Imperial Valley in California surrounded by an unforgiving landscape, the Sea fills periodically from the flooding of the Colorado River. That last happened naturally in the 1600s, as remembered by Native American history. In 1905 the basin was flooded for two years because of an engineering accident on the Colorado's irrigation canals. The newly-refilled basin became a resort area frequented by stars form Las Vegas and Los Angeles. Its heyday was in the 1950s. As the lake began to recede, the resorts were left stranded hundreds of yards from the increasingly salty and malodorous water. Now the fancy hotels and resort towns are derelict, with an occasional resident or marginal business. We drove through Bombay Beach, where a few residents were out walking their dogs, and looked at us as if to say, “What in the world are you doing here?” The entire area is spooky, with a sense of other-worldliness to it, overlaid by a persistent tangy stench from the distant water. Still, alongside this peculiar inland sea is an equally peculiar attraction, the International Banana Museum. Ken Bannister started collecting banana-phenalia in 1972. His was eventually named the world's largest collection of items related to one fruit by the Guinness Book of World Records. In 2010, after nearly thirty years of smiles, he sold the museum to Fred Garbutt, owner of a small and struggling bar in Mecca, California. Fred converted part of the bar to house the collection and opened it to the public. Now you can stop by, if it happens to be open while you're there, and see more than twenty thousand iterations of the pasty fruit on the walls, ceilings, and floors. There are banana items for sale, from keychains to jigsaw puzzles to recipe books. The most popular item by far is a two dollar chocolate dipped frozen banana on a stick. And, if you buy anything worth two dollars or more, admission to the museum is free. His sister, who dipped our bananas, said that the museum has helped the bar business, as they hoped it would. If you like, you can stay nearby at one of the California State Park campgrounds that dot the shore. Some are fancier than others. We stayed at Corvina Beach, a long gravel patch that stretches between the highway and the water. It was populated mostly by rigs flying Canadian flags. It has simple and clean bathrooms, picnic tables, and trash service. A much larger campground, two miles down the road, has showers as well, but it was closed when we were there. We were sitting at our picnic table, well after dark, when a car arrived and parked nearby. Four young women got out and we could see their flashlight moving along the beach. Out came a shovel, and after a bit of digging they returned to their car and drove off. A mystery. The Salton Sea was anything but attractive when we visited, but it was certainly fascinating. So, too, the nearby Slab City, about which Jim & Rhonda Phipps have reported. The campground was basic and satisfactory. The museum was a flat out hoot. Don't take our word for it, though. You can make up your own mind when you join us out here, off the beaten path.